What true baseball fan doesn't dream of a road trip with his best buds to pay homage to the top stadiums around the country? Some boast spectacular views, others feature fancy pools and and luxury suites, while the classics celebrate history. As summer gets into full swing, why not take yourself and your pals out to the old ball game to celebrate a last bash or just each other. 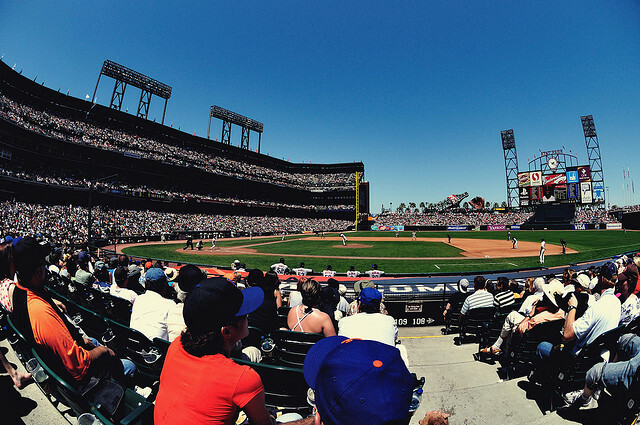 To help you prioritize your baseball bash accordingly, we've ranked the 30 Major League Baseball stadiums in America. Agree or disagree with the rankings? Tell us about it! Not quibbling with any of the rankings, but how did you arrive at them? Aesthetics, accessibility, quality of food? I can't argue with much on the list, but I'm curious how you determined it. Hi Kurt - since you're a ballpark guru yourself, you'd understand that any type of ballpark ranking is subjective rather than a scientific formula. That said, we factored in aesthetics, ambiance, accessibility (from transportation perspective), food, stadium history, etc. to come up with the ranking.